No, but as we will see, his answer was often strongly implied by the structure of the dialogue. But, as such, that represents something of a double standard. Socrates is badgering people to provide an explicit definition which gives the essence of the concept in a form that can’t be gainsaid. And yet Socrates himself is allowed to have a meaning that is strongly implied by the structure of his argument. In other words he does not provide the well defined target that he demands of others. If Socrates, rather than the elencher, had been the elenchee then he would struggle as much as his interlocutors. Oh, I know that in many cases, Socratic answers are implied from Socratic questioning. But, I think Plato doesn’t spell this out so that Socratic reasoning doesn’t get subjected to its own elenchus. It’s like a trial, per the parallels, where you don’t have one attorney do a formal closing statement — so that the other one can’t make his or her own closing statement! And, yes, I mean that, too. Because, if Plato as the author gave the ancient equivalent of a semi-formal, stipulative closing argument to Socrates, in some cases, his straw men would look too obvious. While, among the Sophists, we only have writings from Gorgias today, except for scraps, circa 2400 BCE, all the major Sophists had their own books and pamphlets out, of course. In other words, holding a thumb on the scale might work, but three whole fingers would be overkill. Doing it this way? “Made the stronger argument the better,” at least for Plato’s students. Are we forgetting that these dialogues were actually literary devices used by Plato to teach his own students? In that sense, if not “gospels,” the early and middle dialogues are … catechisms. Catechisms. Like the idea of Tory country gentlemen battling Whig merchants … my focus has been sharpened. The “catechism” analogy with the the actual dialogues is probably stretched a bit. But surely Plato, and Aristotle, and Zeno, and most others who formed schools and trains of thought (Diogenes the exception as the whole idea would be antithetical to Cynicism, by and large) had actual catechetical type materials. Per Paul, this was the “milk” before the “solid food” of studying the master directly. A few sidebar notes for the study of the dialogues should be entered into evidence, too. Even in what are generally postulated as his early and middle dialogues, Socrates can change his position on subjects — including fairly major ones. For example, his stance on hedonism can differ strongly. Plato had a lot less direct connection, or rather, direct ongoing historic knowledge of Socrates than Aristophanes (who skewers Socrates in “The Birds” just as much as in “The Clouds,” and on similar grounds). As for Xenophon, besides the original criticism of his take on Socrates, he comes off as painting a proto-Stoic Socrates that just doesn’t sound right. To the degree that already in the middle dialogues, if not the early ones, Socrates is as much or more a foil for Platonic thinking than his own person, the answer likely is simple. Plato has changed his own mind that much, and not having a modern printed book with an index, let alone a computer, can’t look up what Socrates said on hedonism, or the nature of beauty, or whatever. Indeed, this is similar to ideas of Gregory Vlastos. This, then, connects back to the ordering of the dialogues. I don’t think that’s a big thing for the dialogues in the book, but it is something to remember — even in the theoretically early dialogues, the questions about what is “Socrates” and what is “Plato” are still out there. Per the Internet Encyclopedia of Philosophy, one big issue is whether we should consider most of the middle dialogues to still be more authentically “Socratic” or whether the Socrates of that set is more really the voice of Plato. I lean more toward the latter point of view. Second sidebar, re what I’ve said about putting a socio-political background to Socrates vis-a-vis the Sophists. He fought during the Peloponnesian War and in one of those events that spurs counterfactual history, was nearly captured, and also nearly killed, IIRC, at Delium. In turn, though, Socrates claimed friends among democrats as well as oligarchs. What’s the problem with starting with milk and moving later to solid food? Isn’t that how we still teach today? How did you figure that? Plato was Socrates’ student and several of his relatives were familiar with Socrates. I never heard of Aristophanes having that sort of familiarity. 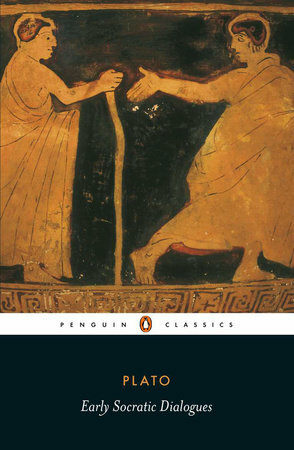 Besides, the intro chapter of the book makes clear that Aristophanes’ Socrates was an obvious composite of a number of philosophers active in Athens, and thus the least likely portrait to be accurate. You always look for the least charitable interpretation of what I say. Massimo, not saying there’s anything wrong with milk first, not at all. I just meant that Plato probably had some brief “Intro to Socrates 101” notes before turning the students loose on reading Socrates himself, via Plato’s own dialogues. On ‘who knew better,’ simple matter of age. Plato was 3 years old or so when Socrates was nearly captured at Delium. Socrates had been speaking in public for some time before that, even if Aristophanes created a somewhat composite character (which I don’t deny). And, my next post shall explain how Comey, and “A Higher Loyalty” in specific, come into play. I don’t know why you would think that. So, please explain, what did you mean, exactly? Socrates: Hey, Gorgias, do you know what the oracle at Delphi said about me? Socrates: That I’m the wisest man in Athens. Soc: Of course, I’m far to humble to believe that, at least not without testing it. Soc: So, I figured I would ask others, people whom I and society deem wise, what they know about things like virtue and goodness. Soc: So, that’s why I’m talking to you now. Gor: OK, so what would you like to talk about. Soc: Can you tell me what you understand virtue to be? Soc: You know, I’ve talked to 14 other philosophers, Sophists and non-Sophists alike. You know what else, Gorgias? Gor: NO, I don’t know what else, Socrates. Soc: Glad you asked back. Every conversation has ended this same way. Soc; You know what that means, Gorgias? Gor: NO, I DON”T know what that means, Socrates. Soc: I guess I am the wisest man in Athens. I at least admit what I don’t know. Soc; And you know why? Gor: NO, I DON”T know why, Socrates. Soc; Because, from childhood, I’ve been guided by this wonderous inner daimon, to whom I owe my ultimate authority. Smary at the least? Sanctimonious? Insufferable even? At least somewhat, and at times? If the Platonic caricature is halfway close to reality, I don’t understand why Socrates wasn’t hauled up on charges earlier. Perhaps he was tolerated ‘on sufferance,’ to be mocked by an Aristophanes and others, until the loss of the Peloponnesian War and the two coups made people finally admit they were that tired of him. Don’t blame me. That’s the way Plato wrote him up. Socrates is to Jesus as Plato is to Paul. Socrates lived quite a bit after Delium, I still maintain that Plato kbew him far better than Aristophanes. With the difference that Socrates never pretended to be a god. I don’t know why you would think that. Did you genuinely think that I was under the impression that these were transcripts of actual conversations? Usually in the past I have been careful to be explicit and refer to “Plato’s depiction of Socrates”, or “The Socrates character in Plato’s dialogues” just in case someone thought that I believed otherwise. Yes, of course we are dealing with literary works which are mostly, if not entirely, fictional and the characters in it are mostly, if not entirely, fictional. (a somewhat ironic fact, as Saunders himself points out). I might say “Salviati is not being entirely fair to Simplicio”, but it does not mean that I think that “Dialogue Concerning Two Chief World Systems” is the minutes of a meeting. I was looking forward to Ion. Massimo, am I in the right place, or is there another book club place. And as I recall, the oracle told S that no one was wiser, leading to the conclusion that he was the wisest, or among the wisest, or that everyone in Athens was equally wise, implying that wisdom was missing in Athens, since it must be discriminated from something. That was Republic, no? Am I reading too much into it? The point I was making was not affected by these being fictional works. Let’s say we have a definition of a word, call it definition A, which is stated explicitly at the outset. We find that this definition can be made, through the process of elenchus, to lead to contradictions and ambiguity. But a new definition is implicit in the argument, lets call it definition B. The claim is that definition B is better than definition A, but by what comparison? Maybe if definition B was stated explicitly and subjected to the same elenching then it would also lead to contradictions and ambiguity. Maybe definition B would emerge, implicit in those arguments and we would think it the better definition. For example, if someone asked me to define a virtuous action then I would say something like “A virtuous action is one which is motivated by me caring about others at least as much as I care about myself, as long as there is a reasonable expectation of this action being effective in that regard”. I am sure that a clever wordsmith could lead me into all sorts of contradictions and ambiguities with that, but I still think that it more or less captures what I mean by a virtuous action and what I understand others to mean by the term. And I think one of the things that make it a good definition is that it can be stated explicitly. For context, try defining “triangle” so that it covers what most people mean when talking about the shape, and is immune from being undermined by elenchus. Most people think that a triangle can be defined rigorously, but it is not so. For example when we say that the Give Way sign is a triangle, someone might point out that the corners are somewhat rounded. People can draw all sorts of shapes with non-straight lines, even quite wavy lines and would understand perfectly well that it was a triangle. And the rigorous mathematical definition crumbles if someone asks for definitions of the terms used to define it. But we use and understand the word “triangle” in every day language and don’t think that there is a philosophical problem if it can’t be defined rigorously or if there is no sharp dividing line between what is a triangle and what isn’t. But, as I said earlier, I can’t see that Plato has ever presented a theory of Forms as such. What we call the theory of Forms is something people have pieced together from a number of things Plato has said, scattered through various dialogues. Ernst Mayr was under the impression that Plato had presented a “formal philosophical codification” of typological thinking, but there is no such codification. So there might be inconsistencies in the formal theories some have derived by a process of extrapolation from Plato’s words, but it is anyone’s guess whether those versions of Platonism were what Plato had in mind. obviously I don’t think you believe these dialogues are transcripts. But as you often do, you treat some material so uncharitably that that would be one of the few explanations left. hence my admittedly mildly sarcastic comment. we’ll get to the Ion in the next installment of this book club series, hopefully early next week. As for the oracle thing, the standard interpretation is that Socrates is considered the wisest man in Athens because he is the only one that recognizies the limits of his knowledge. Something usually borne out by the various dialogues, where people typically begin by thinking that of course they know what they are talking about, but Socrates quickly show that they don’t. as we’ll see in the course of our discussion of the dialogues, Socrates does exactly what you want him to do. He subjects all definitions to the elenchus, including the one that he implicitly seems to prefer. The dialogues always end in aporia, a sort of informed confusion, where people know what not to accept, but are uncertain about what to accept. This is a powerful pedagogical technique, and I believe Plato did this on purpose, to teach his students. I completely disagree with your comments on triangles. The definition is one of the standard examples of tight definitions based on necessary and jointly sufficient conditions. The fact that people draw imperfect triangles has absolutely nothing to do with the definition. Of course triangles can only be defined strictly given certain background assumptions, for instance that one is operating within Euclidean geometry. Change those assumptions and you need a different definition. As we will see, Socrates is attempting to arrive at something similar with moral terms, because he and Plato were strongly influenced by the Pythagoreans and their use of geometry as a paragon of knowledge. They failed, for reasons that were made clear by Wittgenstein more than two millennia later: complex concepts are inherently fuzzy, so they are better described by family resemblance than in terms of necessary & sufficient conditions. Nonetheless, my hope is to show that we still have much to learn both from Socrates’ own discussions and by thinking about the same concepts from a modern vantage point. Nevertheless, I don’t know any modern scholar who doubt at all that Plato advanced a theory of forms.